Women’s Tour Cycle Race – see the pics! > News > Events > Women’s Tour Cycle Race – see the pics! 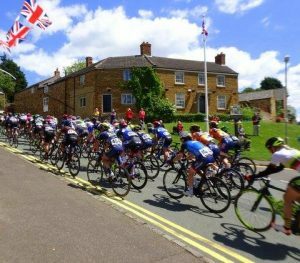 The 2017 Ovo Power Women’s Tour Cycle Race came through Cottingham and Middleton today (7 June). You can see lots of pics on the village Facebook page here.You don’t need a Facebook account to view them. There are a couple of excellent videos on the Facebook page too.